Prefer a book of Word Ladders? 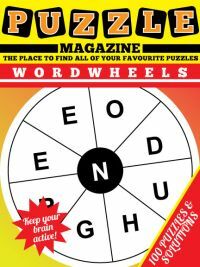 Then visit our Word Ladders Book page. Prefer to play online? 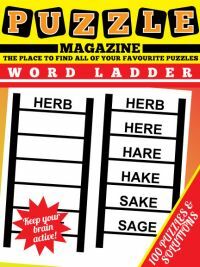 Then check out our Online Word Ladder Puzzles. Word Ladders are a fun word puzzle that will have you testing your word power and vocabulary as you try to move from the top to the bottom of the ladder. If you've not come across word ladders before, take a look at the picture to the right which shows two word ladders. The aim is to move from the word at the top to the word at the bottom by writing a new word on each of the rungs of the ladder that are empty at the start of the puzzle. 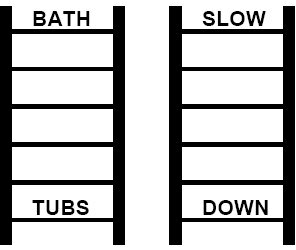 For instance, in the first puzzle the aim is to move from the word 'BATH' to the word 'TUBS' with four intermediate words. The key rule is that you must only change one letter at a time as you move from one rung to another, and the word you make must be a proper word! Therefore you may move from BATH --> BATS but not from BATH --> CASH because that changes two letters in one go which is not allowed. Some of the word ladders you will find harder than others, but all are equally enjoyable. This word ladder magazine has 100 fun word ladder puzzles, just like the samples shown above. 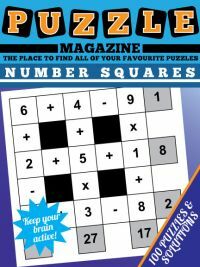 Also, at the end of the magazine a suggested solution is given for all 100 puzzles. 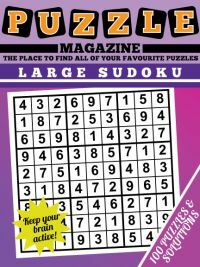 Note that you may well find a different solution to the one we give, but if you get really stuck on a puzzle it's good to know that there is at least one possible solution for each puzzle. 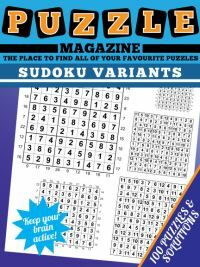 The magazine is delivered as a downloadable PDF to you, and is on A4 size pages, so you can print a page at a time to enjoy whenever you want to challenge your word and vocabulary skills! 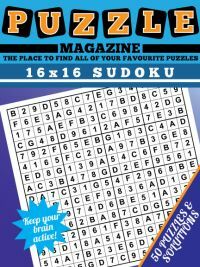 There is something very satisfying about completing each of these fun little word puzzles, and with 100 word ladder puzzles in the magazine they are sure to keep your little grey cells busy for a while! So how do you go about solving word ladder puzzles? There are various ways, and no one method is right or wrong in the way that might be the case with logic or number puzzles. Generally there are two possible options: start from the top, or start from the bottom. Some puzzles yield more easily one way than the other. So the top tip for solving word ladder puzzles is to try one approach, and if it is bearing no fruit for you, then try the other way. A change of perspective can be all that you need to solve the word ladder puzzle! It can also help to take a look at the consonant and vowel order in the puzzle. Does it swap at some point, with a vowel turning to a consonant or vice versa? If so try and pay particular attention to working out HOW to perform this swap, as it can be quite tricky. This can often focus you to funnel in on only one or two possible words. If you know there are only one or two ways of performing the swap from vowel to consonant or vice versa, then this can help you determine the word immediately before or after the switch occurs, and put you well on the way to solving the puzzle. Another solving strategy for word ladders is actually just to go away and take a break - particularly if you have been staring at a puzzle for a while and can make no progress. Just taking a break then coming back a little later can be it all it takes for your brain to recharge and adopt a fresh approach! If all else fails and you really can't work out how to proceed, then the final option is the systematic approach: look at the first letter in the word and work through the possible substitutions from A-Z. Do any of these bear fruit? If not, move on to the second letter, and do the same. Eventually with this systematic approach to solving the puzzle you will find a valid path and successfully solve the fun but deceptively tricky puzzle that is the word ladder. And you can even learn some obscure but interesting new four letter words along the way to add to the satisfaction of solving them too!